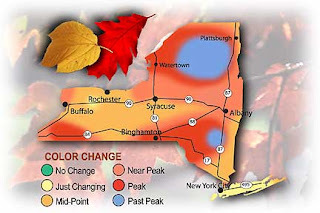 Katonah area is still seeing low levels of color change and are at midpoint. 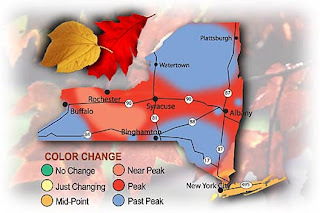 In the Katonah Area green leaves still predominate with hints of red and orange beginning to emerge. According to the 2007 Coldwell Banker ® Home Price Comparison Index (HPCI) released September 26, 2007, in the New York markets surveyed, Katonah ranked as the most expensive with Rye ranking as a close second. According to the HPCI, the average home sale price of a home in Katonah is $904,750. Presently, Realtor.com list 119 available properties in the Katonah zip code (10536) ranging in price from $477,777 to $9,985,000. An instant appraisal (two) of your home can be determine at Yahoo Real Estate. Since it is an "instance appraisal" your real home value will vary - more likely downward. Local realtors can be very helpful in establishing your real home value in today's real estate market.